Tooth decay is as relentless as it is destructive, and it makes little distinction between age, gender, ethnicity or social status. Although risk levels vary from person to person, we’re all potentially in the crossfire for this harmful disease. Getting ahead of it early could save your teeth. Tooth decay begins with oral bacteria. While feeding on dental plaque that accumulates on the teeth, bacteria multiply and produce acid as a by-product. Too much acid softens and erodes tooth enamel, which enables decay to advance deeper into the tooth. If it isn’t stopped, decay can eventually infect and weaken the roots and bone, and ultimately lead to a lost tooth. By stopping it as early as possible before it reaches the inner pulp and root canals, we can greatly limit the damage. 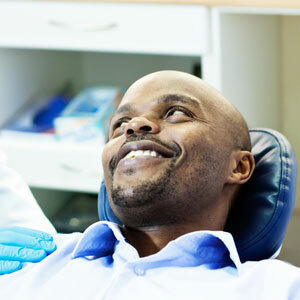 Regular dental care is crucial for early detection. Here’s how we can stay ahead of developing decay during dental visits. Visible inspection. There are visible signs a trained dentist may notice that point to tooth decay. Besides an already formed hole or cavity, we might also pick up on other unusual appearances like white spot lesions: these slight blemishes often occur in the areas of contact with other teeth, which we can treat with topical fluoride. X-rays. This tried and true diagnostic tool has been a mainstay of dental care for nearly a century. The images they produce can indicate decay as darker spots or areas on or within the tooth that may not yet be visible to the eye. And with advances in digital processing and more streamlined equipment, we can effectively do this with a very low dosage of radiation exposure. Advanced technology. We’ve developed other means for better disease detection that complement x-rays and visual inspections. Specialized microscopes and lasers are now important tools for analyzing suspected areas of early decay. Even if decay gets a foothold we can effectively stop it and restore a tooth with a root canal treatment or a similar procedure. The best outcome, though, is to not allow this destructive disease to get that far. With dedicated oral hygiene and regular dental visits that uncover early decay, chances are good your teeth can remain healthy for a lifetime.